In June 2015 I was successful in passing my exam and was upgraded from a Trainee judge to List 5. Following continuous training, it felt a natural path to work through BD's new exam system. After which, in September 2017 I was successful in upgrading to List 4. I have regularly attended training events and seminars and have been lucky enough to pick up tips from Carl Hester, Stephen Clarke, Isobell Wessels, Judy Harvey and Clive Halsall. 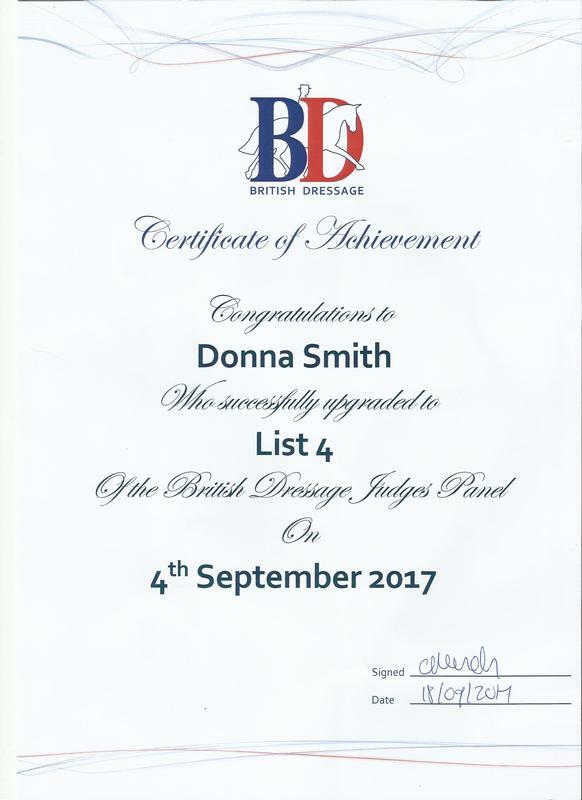 As a List 4 Judge, I am available for all levels up to and including Elementary BD, Intermediate and Open Intermediate BE, plus all Riding Club and Pony Club tests. I am also happy to judge at unaffiliated competitions.